1Spatial’s core technology validates, rectifies and enhances customers’ geospatial data. The combination of its software and advisory services reduces the need for costly manual checking and correcting data. While 1Spatial’s financial performance in H1 was somewhat disappointing, we believe that the company took a number of strategic steps towards building a scalable platform for growth over the period. With the Geospatial order book up 30% since year end, a pipeline of licensing deals to close and the Esri relationship starting to generate recurring subscription sales, we believe that its financial performance should turn a corner in H2. If it does then 1Spatial’s shares are substantially undervalued. We believe that the core Geospatial business is continuing to make progress towards its strategic goal of building an IP underpinned, high margin, recurring revenue business. The Geospatial order book grew to £5.2m, up from £4.0m at year-end, and 1Spatial has a number of licensing deals in the pipeline, which should drive a much better H2. 1Spatial signed 10 deals through the Esri partnership and has more in the pipeline for H2. 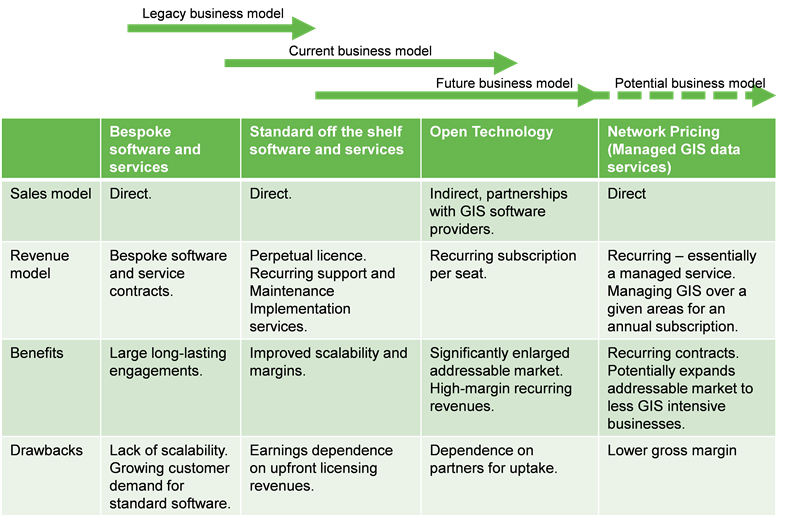 In a new development, 1Spatial is also exploring opportunities to offer Managed GIS data services, opening up an incremental recurring revenue business, albeit at a lower margin than licensing and technology. At group level H1 sales grew by 60%, but this was largely due to the contribution from a £3m deal for the Cloud business, most of which was recognised during the period, but c £2m was low-margin hardware sales. Adjusted EBITDA of £0.3m was down from £0.9m last year, with growth in Cloud (to £0.6m from £0.3m last year, excluding central costs) more than offset by a decline in the core Geospatial business to £0.9m from £1.7m last year. Management states that it has the pipeline to meet market estimates; and consequently our P&L estimates have not changed substantially, although we reduce year end net cash to £1m, from £3.4m previously. Given the extent of recovery required in H2, 1Spatial is exposed to contract slippage. However, in terms of the longer-term investment case this will not matter too much if it shows evidence that strategic initiatives are starting to drive a sustainable improvement in financial performance. If 1Spatial does this then we believe that a 15x FY18 P/E rating (implying a 5.5p share price) would be a very undemanding starting point. Beyond this, looking at the open technology partnership opportunity alone, we believe that penetrating a mere 0.22% of the global GIS user base would justify a 10p share price. 1Spatial consists of two businesses. Geospatial, which is the core business, provides software and professional services for managing large-scale spatial data. The Cloud Services division provides IT services, managed services and storage solutions, operating both independently from the Geospatial division but also providing the infrastructure/expertise to support GIS engagements. We believe that 1Spatial’s investment case largely centres on the fortunes of its Geospatial business. The company’s solutions enable customers to collect, manage, maintain, publish and interpret location-specific information. It has a particular strength in enabling the management and correlation of large volumes of data from different sources. Customers include some of the largest and most sophisticated geospatial data users globally, including the US Census Bureau, Ordnance Survey Great Britain, Lyonnaise des Eaux, PSMA Australia and many others. Over the past three years, management’s focus has been on migrating the company’s model from providing bespoke solutions to its customers to driving repeatable product sales, with a view to adding scalability to the business model and improving margins. The first component of this initiative involves productising the solution so that it can be sold on a more off-the-shelf basis, thus proportionately increasing the contribution from higher-margin licensing, support and maintenance sales. The second component is focused on developing ‘open technology’, ie modularising components of the platform so that they can be easily integrated with third-party GIS offerings. The company is now also working on opportunities to provide recurring Managed GIS data services to customers. The business is still in the middle of this transition, and this is significantly affecting both growth and margins, as the company redeploys previously revenue-generating staff to product development and sales staff to developing longer-term strategic relationships. Successful execution should result in a higher-margin, more recurring revenue business. 1Spatial has always operated a range of different business models and this will continue for the foreseeable future, with revenue being generated from applications, platforms and services sold both directly and indirectly. The key focus of the transition strategy is to leverage the core technology platform to build the business around high-margin and recurring service offerings revenues, while adding scalability through expanding sales through indirect channels. 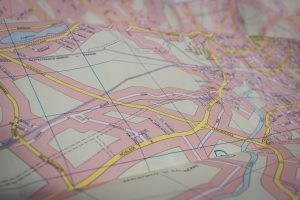 A key component of 1Spatial’s transition strategy has been the modularisation of its technology to enable the applications to be easily integrated with third-party GIS offerings. This enables end users to benefit from 1Spatial’s core strength in rectifying, validating and enhancing data without having to replace their underlying GIS platform. It also significantly expands 1Spatial’s addressable market and opens up potentially very scalable and profitable indirect sales channels. The company has partnerships with two major GIS partners thus far, the most significant and most advanced of which is with Esri, the leading GIS supplier globally, with an estimated 43% market share (source: ARC Advisory Group, March 2015). In January 2016 the company announced a partnership with HERE, previously Navteq, which is now owned by a consortium of German car manufacturers. Following nearly two years of technical and commercial integration work, 1Integrate was launched in February 2016 and 10 enterprise customers were signed during H1. These include two US transport departments, a French water utility, a large UK engineering group, a European satellite centre, a Middle Eastern institute for scientific research, a mapping agency, and an IT department for a US state. The company also signed a US federal customer through its relationship with HERE. The company reports a healthy pipeline of opportunities and while gauging the rate and timing of uptake is difficult, we expect to see the rate of wins through these partners accelerate as the pipeline matures and the company’s ongoing investment in on-boarding Esri Inc and key Esri distributors starts to bear fruit. Achieving only relatively modest penetration of Esri’s base of more than 350k enterprise customers could transform the company’s earnings profile. At an anticipated rate of c £1,500 per user per year, it would only require 1Spatial to achieve 0.2% penetration of Esri’s customer base with one seat per customer (whereas most are likely to license multiple seats) to generate £1m+ annual recurring revenue. In the near term, revenue growth will likely be relatively measured due to the fact that revenues are spread over the lifetime of the contract and growth will also depend on when in the year deals were signed. Hence the bookings and order book become more significant KPIs than previously. In July 1Spatial announced that 1Integrate is to be integrated into Esri’s field worker solution, Collector for ArcGIS. This is a software product that is installed into mobile devices (eg tablets, specialist surveying terminals) to collect and update information while working in the field. This substantially enlarges 1Spatial’s addressable market of Esri’s user base, although the annual subscription is likely to be substantially lower than the £1,500 per seat we model for the 1Integrate product. The company licenses its core platform, 1Spatial Management Suite (1SMS), along with applications directly to enterprise and government customers. It also works with distributors in some markets, although it has now acquired a majority stake in LaserScan Inc, previously its sole US reseller. A typical 1SMS platform deal will include a licence fee for the platform and whichever modules the client takes (typically perpetual), ongoing maintenance and support and revenue from consultancy services. These deals can be sizeable, worth £2m+ over a number of years and, with a significant proportion recognised up-front, licensing activity is the greatest single influence on short-term profitability. Licensing activity was slow in H1 with a number of deals slipping into H2. The pipeline for H2 is said to be solid, however, and a much stronger H2 is expected. The company is also investing into driving sales in new sectors and geographies, through carrying out proof-of-concept work and other pre-sales efforts. Again, this effort is currently having a negative impact on the P&L, but will hopefully deliver a positive return in H2 or beyond. 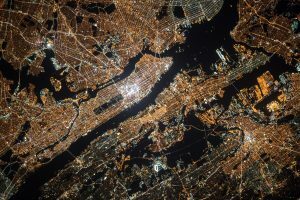 In a new development, 1Spatial is now developing opportunities to essentially offer Managed GIS data services to enterprise or government customers. Under this model, 1Spatial will charge an annual subscription fee to the client to ensure the data accuracy of a given area on a map, priced according to the density of data in that area. While lower-margin than software sales, this does open up a recurring revenue opportunity with potential clients, some of which would see a return on investment on buying a 1SMS licence. Due to the work involved in ingesting and processing the data, gross margin is likely to be lower in the early part of the engagement (management estimates 35-40%), but should then expand, we estimate to a 50% level once the engagement moves on to a maintenance model. If the company can retain clients over a number of years, the returns should be strong, although, again, the subscription model will moderate revenue growth as the customer base is built up. The company is currently trialling his model with a large utility provider in France, while a number of proof-of-concept implementations are ongoing. 1Spatial has historically been underpenetrated in the Americas, but growing in the region, particularly the US, is a key strategic imperative. In February 1Spatial acquired a majority stake in its sole US distributor 1Spatial Inc. (previously Laser Scan Inc.), taking the group’s total holding in 1Spatial Inc. to 73% and now consolidates this business within its numbers. The transaction secured 1Spatial’s presence in the US and, importantly, secures key relationships and certifications to enable the group to work directly with US government customers. US wins over the period include a $1.7m deal with a US federal government agency (with HERE) in July, which will support the anticipated H2 revenue ramp, two US state departments of transport and the IT department for a US state. The pipeline is also said to be healthy. The company’s relationship with the US Census Bureau is a particularly important vehicle for growth in the US. We expect spend to accelerate as the bureau and the c 4,000 content partners that feed into it prepare the 2020 decennial census. 1Spatial has been engaged with the Bureau for some time, developing an automated conflation1 process to bring together geospatial data from varied sources. In January 2013, 1Spatial announced that the group’s software and services were being used as part of an initiative to support the 2020 decennial census. We understand that c 4,000 third parties will be supplying data to the US Census Bureau including state government entities across the US. There is no formal distribution agreement or mandate for these suppliers to use 1Spatial’s software, but there is a strong incentive for them to use the same system to facilitate a smooth process. Conflation - Conflation is the process of matching features between data sets created at different times and based on different levels of accuracy and precision. A US Government Accountability Office report2 estimates 80% of the $12.5bn total cost of the 2020 census (excluding partners) will occur between 2018 and 2020. Consequently, we expect the rate of wins with suppliers to the census to accelerate as the event draws nearer. As we have previously discussed, 1Spatial extended its partnership with Esri to integrate 1Integrate with Esri’s field worker solution and is in the process of training Esri Inc and key Esri distributors to extend the reach through this channel. The company also extended its agreement with HERE so that 1Spatial can now sell HERE’s maps to its 1SMS customers. The company is working with at least one other major software vendor, with a view to facilitating the integration of spatial data with enterprise and financial databases, which could substantially expand the market opportunity for integration solutions. Revenues for the Cloud business increased to £6.2m from £1.0m last year due to the acquisition of Enables IT, acquired in July 2015, boosted by a £3m contribution from a large deal with a US healthcare company in late FY16. However, around £2m of this revenue was from hardware, at very low margin. As a consequence gross margin was only 24% versus mid 30s typically, and EBITDA expansion was only modest, moving to £0.6m from £0.3m a year ago. Excluding this deal, the Cloud business is relatively stable and generating c £1.2m of EBITDA per annum. The company is reviewing the strategy and alignment between Enables IT and the Geospatial business. At the P&L level, our estimates have not changed significantly, although we have reduced our year-end net cash by £2m to reflect the fact that the year will be back end weighted, reducing the proportion of cash collected in the year, particularly for large licensing deals. 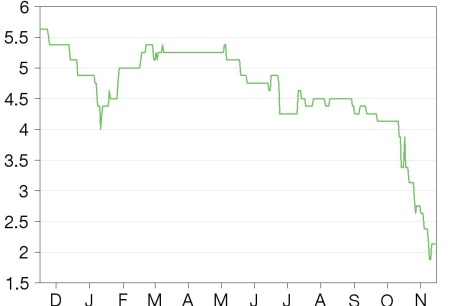 Clearly a strong H2 is required but, as we explain in this report, we believe lead indicators support a significant uptick in H2 and that this should mark the start of a sustained improvement in financial performance. The key risk to estimates this year would be if licensing deals slip or fall away. However, in terms of the longer-term investment case we do not believe that this should matter too much as long as the company shows evidence that strategic initiatives are starting to drive a sustainable improvement in financial performance. We believe it will take four to five years to fully implement the business model transformation. In Exhibit 5 we run a sensitivity analysis on how varying levels of uptake through GIS partners could affect revenues, margins and EPS by FY21. Even with a modicum of success, expansion of margins to the mid-teens level would result in EPS more than doubling between FY16 and FY21 with a high-teens CAGR, while achieving mid-20s margins would triple earnings over this time. Investment in transitioning the model is significantly affecting both revenues and costs at present. Revenues are suppressed by sales staff focusing on developing longer term, scalable strategic relationships rather than bespoke projects and previously chargeable technical staff focusing on product development. Costs, excluding these reallocations are also increased by investment in incremental sales and marketing and development staff – although the majority of cost for the latter is capitalised. In Exhibit 6 we show what we believe 1Spatial’s P&L might look like if it had not invested in transforming the business. We emphasise that we believe investing in this transition is the right thing to do for the long-term prospects of the business and, with good execution, could generate significant longer-term value for the business. In the near term, however, we believe that group EBIT could be up to 88% higher if this investment had never been made. On a headline P/E basis, 1Spatial’s shares are now rated at a significant discount to both its UK software and service peers and GIS peers. However, we do not believe that this is a good fundamental measure for valuing the business, as 1Spatial’s forecast margins and earnings are significantly compressed by the transition process, and the company is currently capitalising substantially more development cost (£1.9m in H1) than the amortisation charge (£1.2m in H1). If we strip out all associated revenues and costs related to the open technology development from our FY17 estimates, our forecast EPS would be c 88% higher at 0.41p. On this basis, the company is rated at 5.3x its established businesses, versus average ratings of 18x current and 17x one-year forward earnings for its UK software services and managed service peers (see Exhibit 7). This suggests that the company’s investment in its transition strategy is currently eroding the valuation in investors’ eyes, which we do not believe should be the case. We believe that the strategy is sound, the market opportunity significant and that sentiment will substantially change for the better if 1Spatial delivers a stronger H2, with further evidence that the strategy is driving growth in higher-quality, recurring revenues. Source: Bloomberg consensus, Edison Investment Research. Note: Prices as at 15 November 2016. Our DCF scenario analysis suggests that the market is pricing in that subscription-based revenue growth will drive margins to the high-teens level by 2021. As Exhibit 8 shows, this could be achieved by penetrating only a tiny fraction (c 0.2%) of the estimated global GIS user base. This analysis also assumes that 1Spatial continues to grow investment in developing GIS products, meaning that subscription revenues need to grow to £3m+ before positively contributing to earnings and cash flows. Reducing investment once the current phase is largely complete, or if demand remains relatively muted, are both very creditable options. A DCF stripping out all revenue and investment in open technology returns a fair value of 0.42p (not illustrated in Exhibit 7), again suggesting that the current valuation is substantially underpinned by the established businesses. DISCLAIMER Copyright 2016 Edison Investment Research Limited. All rights reserved. This report has been commissioned by 1Spatial and prepared and issued by Edison for publication globally. All information used in the publication of this report has been compiled from publicly available sources that are believed to be reliable, however we do not guarantee the accuracy or completeness of this report. Opinions contained in this report represent those of the research department of Edison at the time of publication. The securities described in the Investment Research may not be eligible for sale in all jurisdictions or to certain categories of investors. This research is issued in Australia by Edison Aus and any access to it, is intended only for "wholesale clients" within the meaning of the Australian Corporations Act. The Investment Research is distributed in the United States by Edison US to major US institutional investors only. Edison US is registered as an investment adviser with the Securities and Exchange Commission. Edison US relies upon the "publishers' exclusion" from the definition of investment adviser under Section 202(a)(11) of the Investment Advisers Act of 1940 and corresponding state securities laws. As such, Edison does not offer or provide personalised advice. We publish information about companies in which we believe our readers may be interested and this information reflects our sincere opinions. The information that we provide or that is derived from our website is not intended to be, and should not be construed in any manner whatsoever as, personalised advice. Also, our website and the information provided by us should not be construed by any subscriber or prospective subscriber as Edison’s solicitation to effect, or attempt to effect, any transaction in a security. The research in this document is intended for New Zealand resident professional financial advisers or brokers (for use in their roles as financial advisers or brokers) and habitual investors who are “wholesale clients” for the purpose of the Financial Advisers Act 2008 (FAA) (as described in sections 5(c) (1)(a), (b) and (c) of the FAA). This is not a solicitation or inducement to buy, sell, subscribe, or underwrite any securities mentioned or in the topic of this document. This document is provided for information purposes only and should not be construed as an offer or solicitation for investment in any securities mentioned or in the topic of this document. A marketing communication under FCA Rules, this document has not been prepared in accordance with the legal requirements designed to promote the independence of investment research and is not subject to any prohibition on dealing ahead of the dissemination of investment research. Edison has a restrictive policy relating to personal dealing. Edison Group does not conduct any investment business and, accordingly, does not itself hold any positions in the securities mentioned in this report. However, the respective directors, officers, employees and contractors of Edison may have a position in any or related securities mentioned in this report. Edison or its affiliates may perform services or solicit business from any of the companies mentioned in this report. The value of securities mentioned in this report can fall as well as rise and are subject to large and sudden swings. In addition it may be difficult or not possible to buy, sell or obtain accurate information about the value of securities mentioned in this report. Past performance is not necessarily a guide to future performance. Forward-looking information or statements in this report contain information that is based on assumptions, forecasts of future results, estimates of amounts not yet determinable, and therefore involve known and unknown risks, uncertainties and other factors which may cause the actual results, performance or achievements of their subject matter to be materially different from current expectations. For the purpose of the FAA, the content of this report is of a general nature, is intended as a source of general information only and is not intended to constitute a recommendation or opinion in relation to acquiring or disposing (including refraining from acquiring or disposing) of securities. The distribution of this document is not a “personalised service” and, to the extent that it contains any financial advice, is intended only as a “class service” provided by Edison within the meaning of the FAA (ie without taking into account the particular financial situation or goals of any person). As such, it should not be relied upon in making an investment decision. To the maximum extent permitted by law, Edison, its affiliates and contractors, and their respective directors, officers and employees will not be liable for any loss or damage arising as a result of reliance being placed on any of the information contained in this report and do not guarantee the returns on investments in the products discussed in this publication. FTSE International Limited (“FTSE”) © FTSE 2016. “FTSE®” is a trade mark of the London Stock Exchange Group companies and is used by FTSE International Limited under license. All rights in the FTSE indices and/or FTSE ratings vest in FTSE and/or its licensors. Neither FTSE nor its licensors accept any liability for any errors or omissions in the FTSE indices and/or FTSE ratings or underlying data. No further distribution of FTSE Data is permitted without FTSE’s express written consent.